When it comes skin care I am militant and choosy. I believe no matter how lovely your skin is, you should take care of it and nourish it. 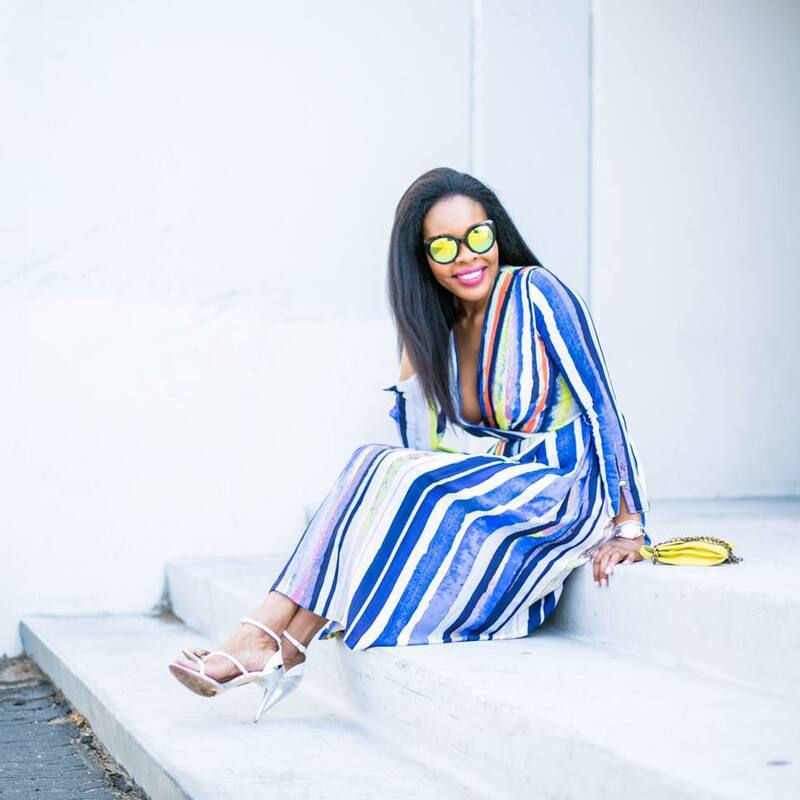 I am particularly fond of organic and natural ingredients that makes my skin feel alive, looks bright and healthy. I mentioned in this previous post Farmhouse Fresh Beauty Products last month how madly in love I fell in love with the products my girlfriend gifted me for my birthday. Today, I wanted to share my review on some more of Farmhouse Fresh products. 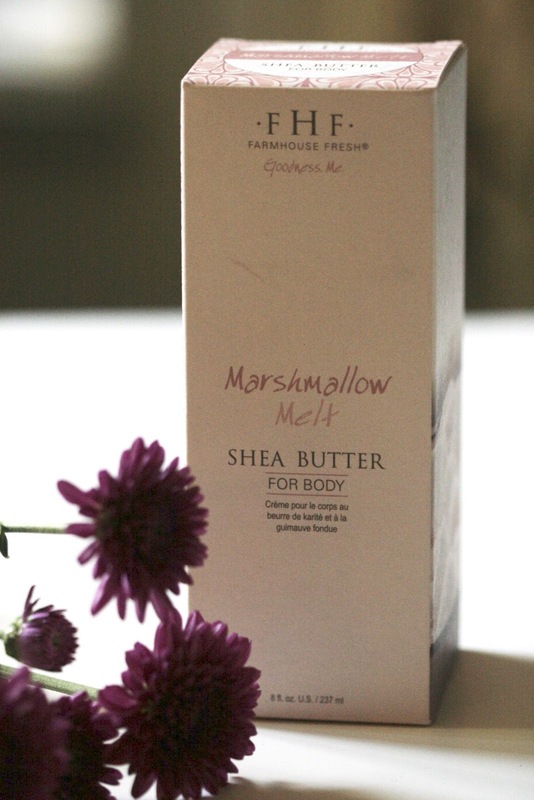 This Marshmallow body butter/cream is exactly what is sounds like, marshmallow. It is light and soft and gives exactly the feeling on your body as it feels whenever you eat a marshmallow. I know, how could this be? I suggest you try it to get the experience for yourself. It's highly moisturizing and I can see it wearing long especially for those who live in cold weather conditions. 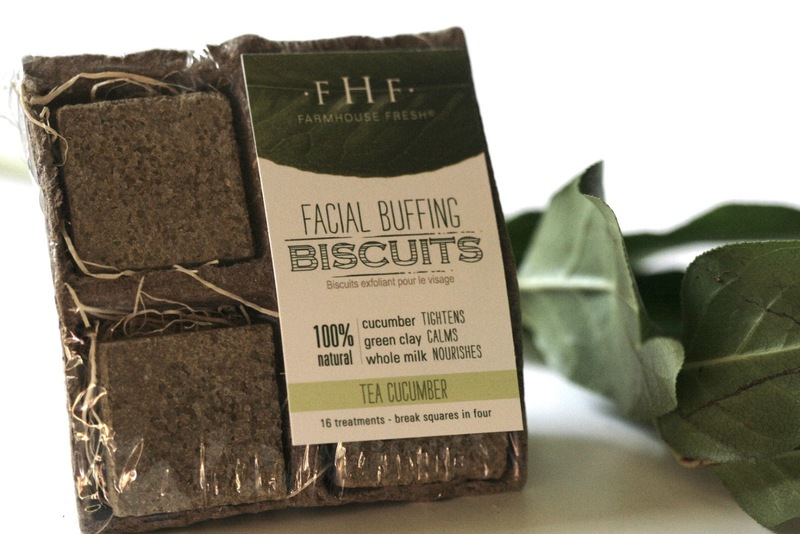 These Facial Buffing Biscuits in Tea Cucumber has to be my favorite. Four squares that will go a very long way. Each square can give you up to six treatments. It's as simple as adding just a tiny bit of water to the biscuit pieces, it will form into a clay mixture. You simply massage that onto your face, let it dry in a mask form and, after a few minutes, rinse. Ah, it leaves you face feeling EXTREMELY moisturized and refreshed. 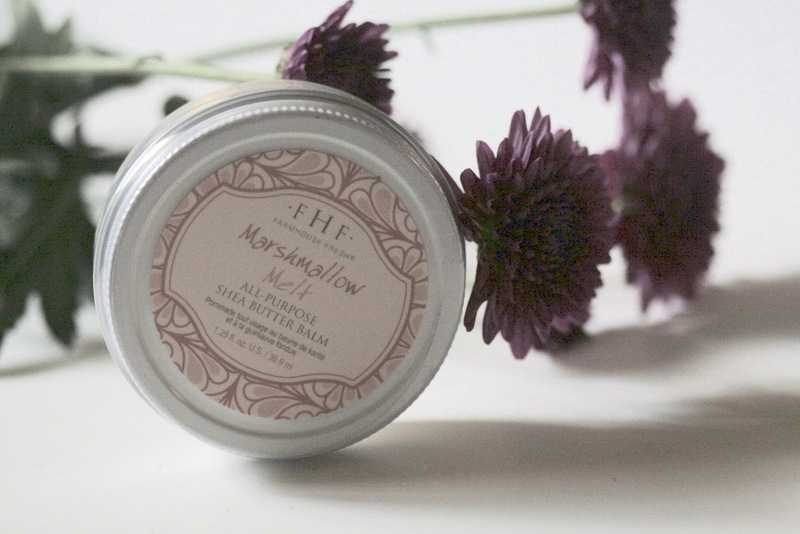 This little magic-Shea Butter Balm in a jar is your all purpose ultimate. 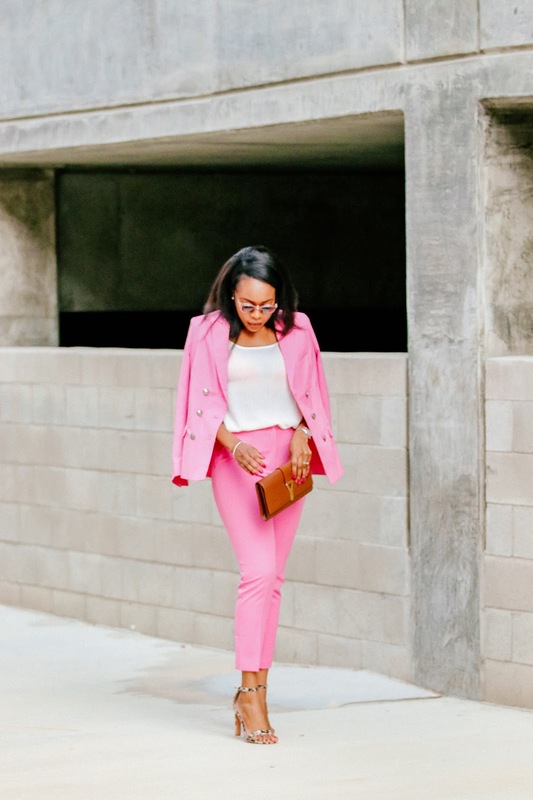 I have already dropped it in my handbag as it can be used on the skin, lip or even hair. I love candles and candles makes me happy. My friends and family almost always gift me candles around the holidays. I also gift candles a lot. 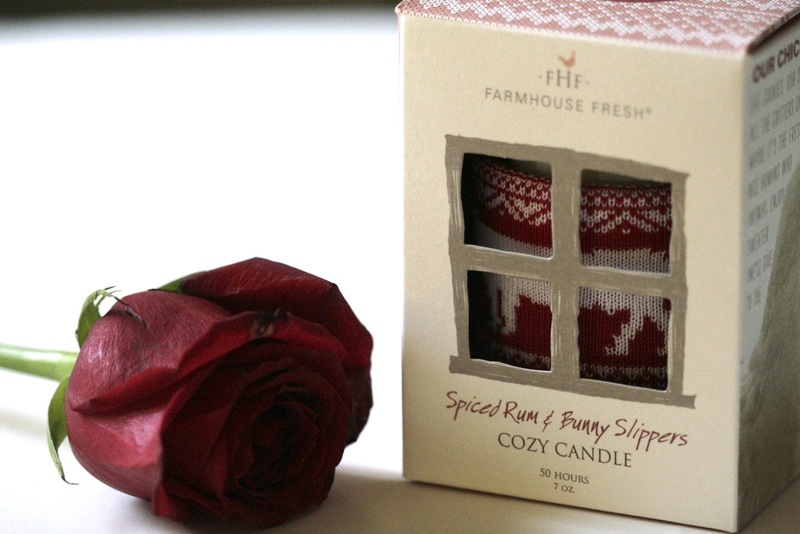 This Spiced Rum/Bunny Slippers candle is definitely on top of my gift list for this holiday season. It has a sublet spice scent mixed with calm and cozy. Maybe because it is a soy-blend. If you generally burn many candles, you can always tell a soy candle by it's scent, burn and they way it relaxes you. (Hello side glass of Shiraz:)! Ahh, a good old sea-salt body scrub! It doesn't quite get any better than this Brandy Pear Sea Salt Polish. A rich and relaxing scent, a perfect scrub that will have your skin extremely moisturized (as in you do no need lotion after using) and, get this, it leaves your bathroom smelling like a spa. I haven't, I'll try that next time:) Thanks dear.